Style editor gives the option to control the design of almost all major components of your web store. There are 6 style areas and an additional one that wraps all 6. Furthermore, each row and content block in the Page Builder can be styled too. 1 Go to Theme Settings -> Style. 2 You can control each style area from the admin panel by clicking to the corresponding area tab [Screenshot]. 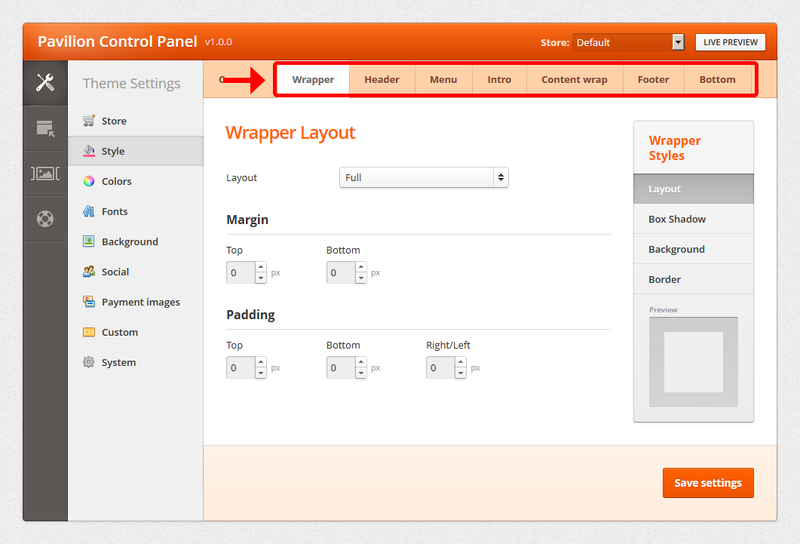 Intro, Content Wrap and Footer can have different settings for different pages, categories and layouts. Header, Menu and Bottom styles are global only. 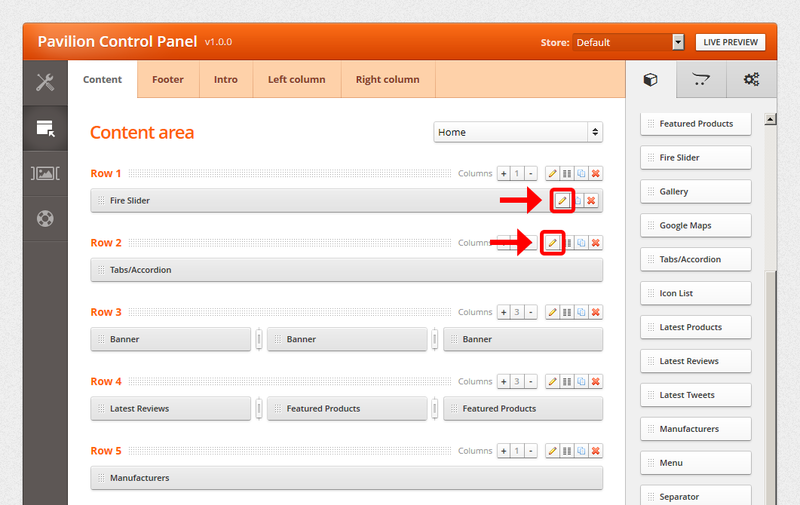 1 Go to Page Builder panel and choose the page, category or layout you want to modify [Screenshot]. 2 Press the Edit button of the targeted row / block. …Pavilion style editor is referred to as a set of controls used to change the theme’s appearance . There is no single dedicated place in the admin area to control all of the styles. Each different component (area, row, page block) has its own styling panel.